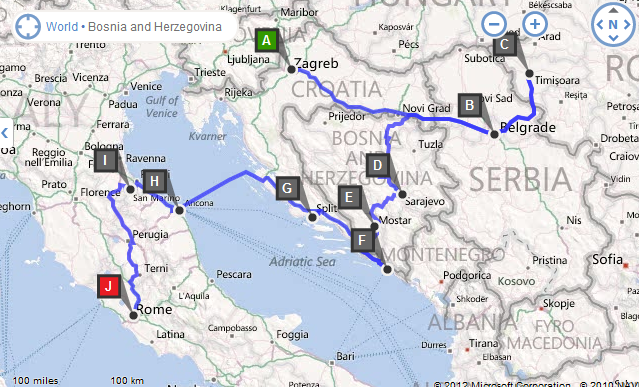 Rediscovered Europe: Croatia, Serbia, Bosnia & Herzegovina – Traveling Epic! Before we get to the spectacular I have to share a couple of stories about not so spectacular bombing, that was done by the U.S. which we saw in Belgrade. (Pictured Above) This is one reminder. When we stopped to take pictures, we got some odd looks. We were treated just fine. No problems travelling in Serbia. We were wondering how a Croat and 3 Americans would fare, but we didn’t have any issues really. Well, over the course of our trip, we did end up having to pay off some police in Sarajevo, and in Romania. Both of those were under 100 euros, and the one in Romania got us out of having to pay the tabs. We weren’t spending more than a couple of hours there. It was a whim where I was like hey, we are so close… let’s go to Romania! 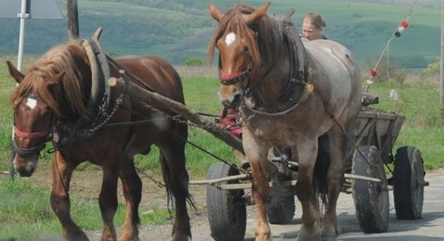 Outside of a Romanian Village… There are some still very traditional methods for farming in Romania. After Driving through some amazing farm land, and seeing many horse drawn wagons, and lots of people wondering who we were and what we were doing there. (Yes, we were at times (subtlety) hanging out the window taking pictures of their animals and wagons. They really didn’t get tourists in their villages… No magnets! 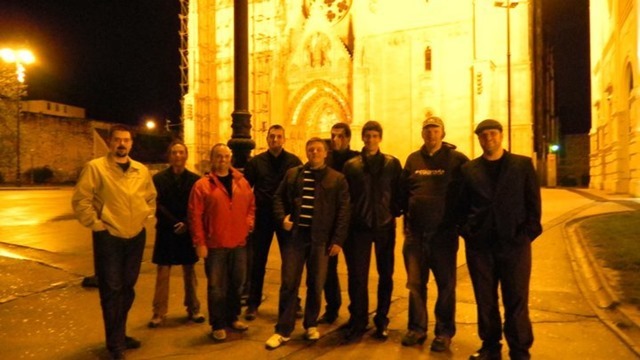 We decided we should head to Bosnia. 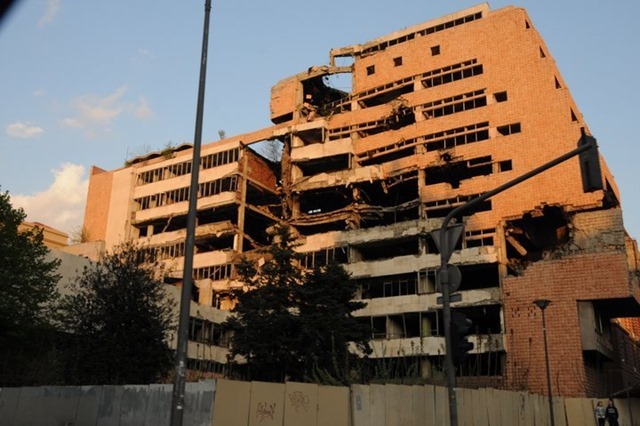 I recommend a short read from Frommers: Sarajevo Then and Now: A symbol of Yugoslav success, then failure, and now success again, Sarajevo is one of Europe’s most resilient cities. 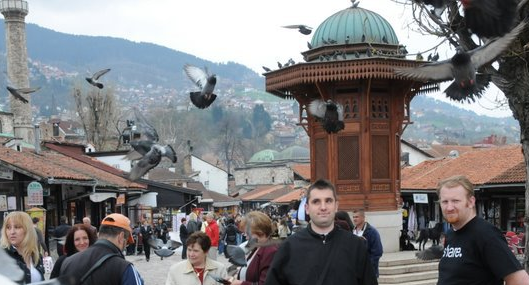 I highly recommend you read up on Sarajevo. That city was shelled for over a year. There are vivid reminders. More than 10,000 were killed in Sarajevo, and there were mass exoduses. Imagine trying to live in a city and have tanks and big guns in the hills taking people out that are in line to get water or taking people out at a football match. 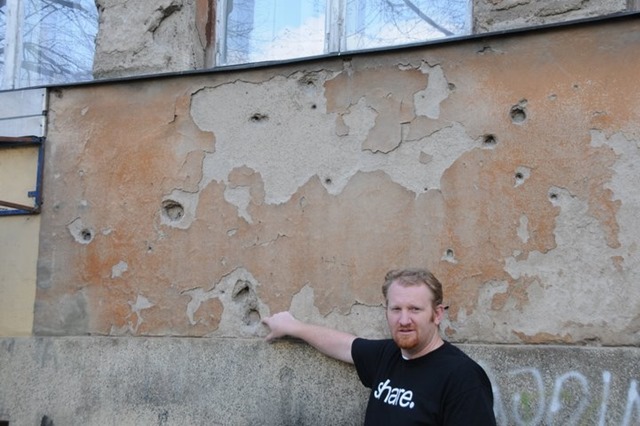 You can read about the siege of Sarajevo. From 1992 to 1996 during the Bosnian war. The longest siege of modern warfare for a capital city. A siege of 18000 were stationed in the hills around the city. Before the siege there were 525,000+ and after there are currently somewhere around 380,000. Beyond all the deaths, a lot of loss of the history and culture of Bosnia went up with it’s National Library, one of my favorite buildings in the city. In Most, Bosnia & Herzegovina a town divided by the newly independent Bosnians and Ethnic Serbs you’ll see churches on one side of the river and mosques on the other. The bridge itself is an incredible monument. When it was built by the Ottoman empire in the 16th century, it was the widest man made bridge in the world. 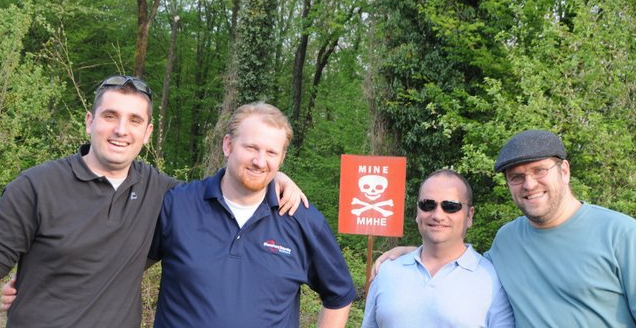 On side of the bridge you’ll see a “remember 1993” painted on an inactive land mine. It still haunts me. I can remember what I was doing in 1993. I wasn’t worried about war. I was reading about Bill Clinton and Monica Lewinski. These reminders do bring the possibilities fresh in my mind, and prevent me from being complacent about how I treat others and how I see others being treated. I think it’s one of the reasons I feel like I need to both look out for the Jews and the Palestinians. I worry about both sides of the walls in Gaza and the west bank, and I worry now about the Serbs in Kosovo, and the Albanian Kosovars in and around Serbia and Kosovo. If you haven’t been to the Ann Frank house, in Amsterdam you need to go. The concern for Muslims at the end of the tour is something that was vivid in the reflections part of how minorities might be treated in the future. The future is now. This beautiful Stari Most bridge is from the 1600s, and was destroyed in the war and rebuilt in 2005. That story alone is incredible and the pictures are so graphic. Dubrovnik, Croatia (pictured below). Another town that did not escape the war, was shelled from the surrounding hillsides for a period of three months, but really it is one of the most beautiful gems of Europe. It’s a must see. It is a port town, so quite easy to get on a Mediterranean cruise. Very easy to relax. There are some great little islands in Croatia, I’d love to explore some time. Croatia really is quite accessible. There is an airport in Dubrovnik that we had planned to take, but ended up on the night ferry to Anconna Italy from Split, Croatia a port town with Ferry’s to Italy. This trip would end with an exciting adventure to escape the ash cloud… but that’s another story. As Michael puts it: As far as cities go, Dubrovnik has it all. Deep port on a beautiful sea, city walls for protection, beautiful architecture, great food, and warm friendly people. hey, great write-up, thank you very much. 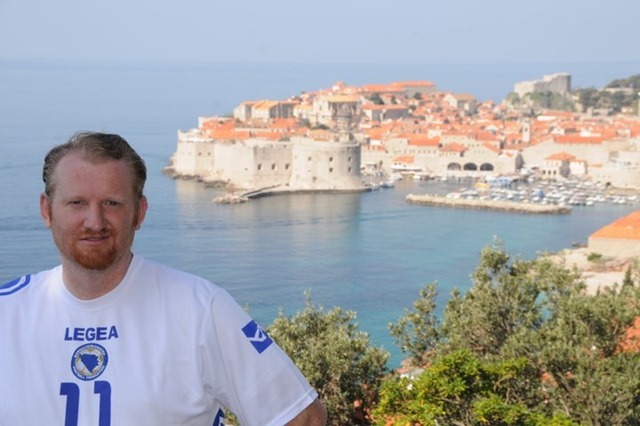 I am Mirad, Toni’s colleague from Sarajevo and I like your Bosnian soccer team’s short you’re wearing 🙂 Go Edin Dzeko… Did you have a chance to stop by Blagaj and Pocitelj, two small, old towns close to Mostar (in fact, you had to drive by Pocitelj on your way to the Croatian coast). one thing though, I think you meant to write Republic of Serbia, not Srpska, up there?